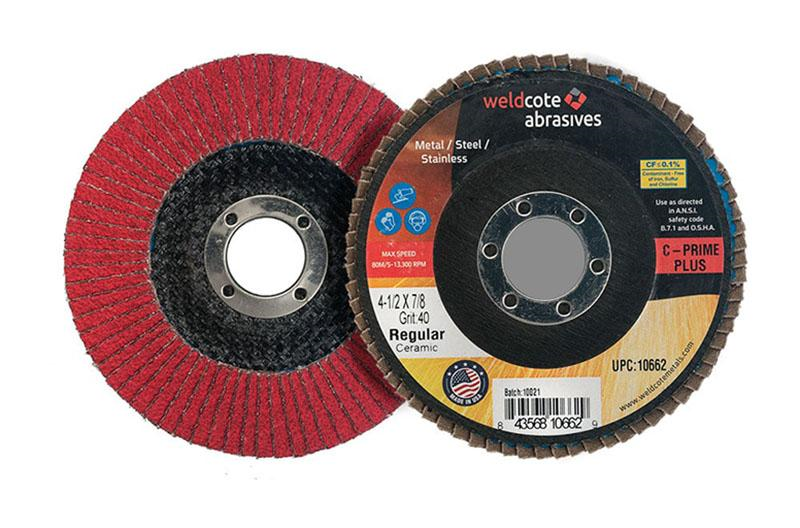 Weldcote Metals introduced its C-Prime and C-Prime Plus ceramic flap discs. The polyester backing is for aggressive grinding applications that do not require excessive flexibility. The Plus discs feature poly-cotton backing with high-quality ceramic grain, which provides stretch and flexibility. The ceramic grains in the flap discs contain a grinding aid for cooler running temperatures and are also self-sharpening. C-Prime discs are available in 4 ½ in. and 7 in. sizes, and Plus discs are available in 4 ½ in., 5 in. and 6 in. sizes.